As achievements in engineering and manufacturing move us toward 21st Century lifestyles, problems emerge as a result of these processes. Moreover, cleanup concerns plague us as a legacy of the industrial revolution. This program focuses on an innovative yet natural solution science proposes for the cleanup of polluting by-products. 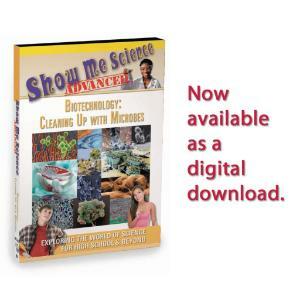 Discover how science is Cleaning Up With Microbes. Throughout the world, scientists are exploring the use of living organisms to help solve the problem of waste disposal and recycling. They have found that microbes-such as bacteria, fungi, and algae can take care of almost any waste by-product by doing what they do best- eating!